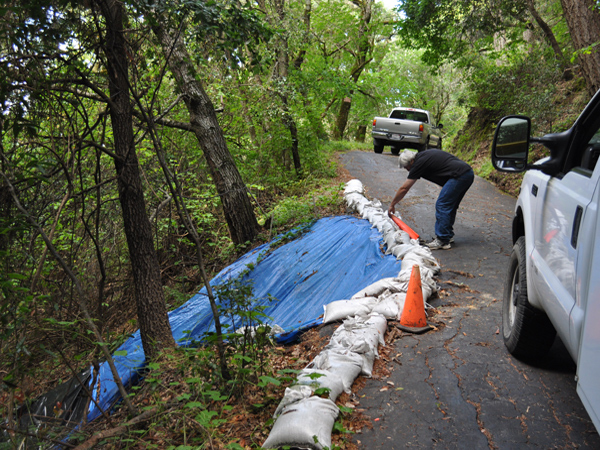 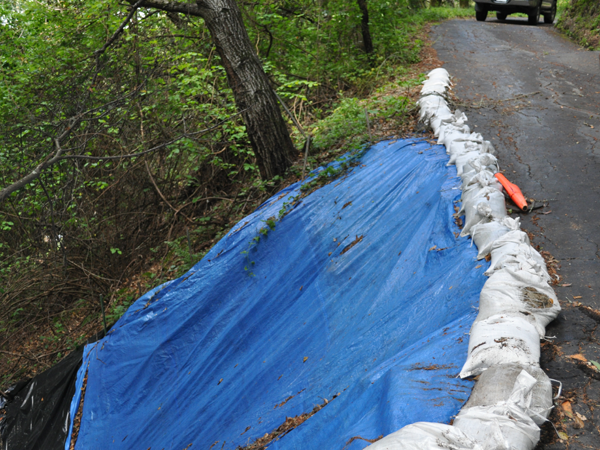 A landslide jeopardized the driveway to the house, making it unsafe for residents. 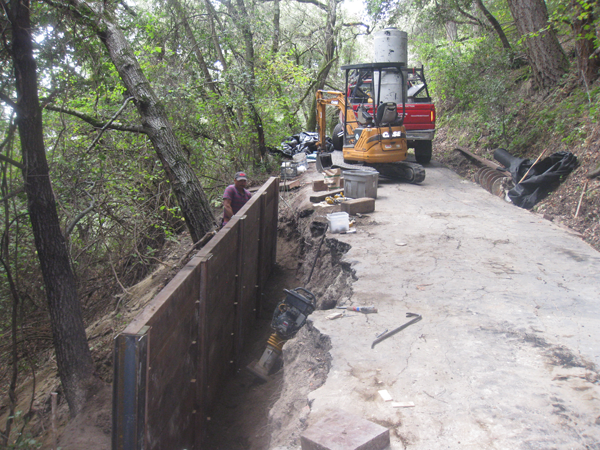 We came up with a plan to install a deep-rooted retaining wall to support the top of the slide and re-direct water. 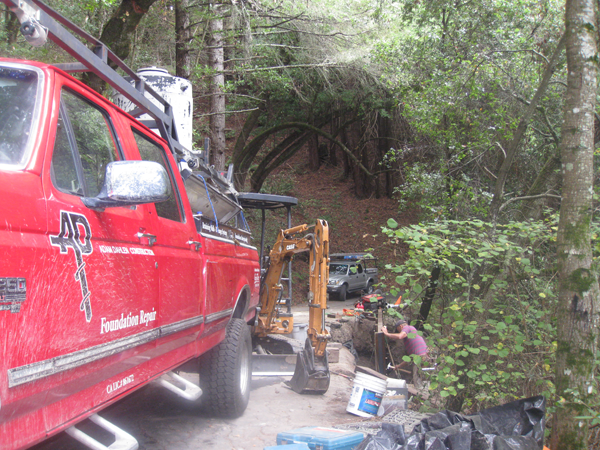 We finished by leveling and compacting the dirt on the neighbor’s property where slide had occurred.